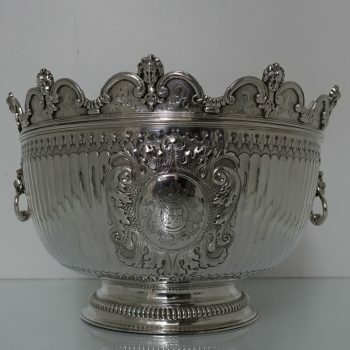 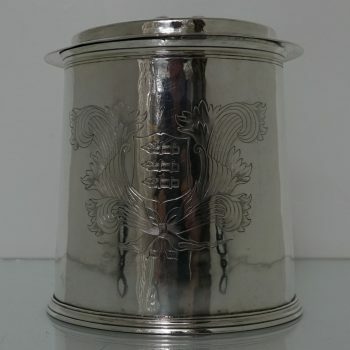 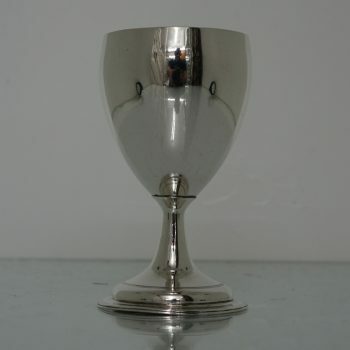 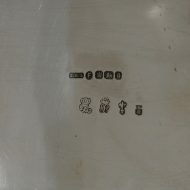 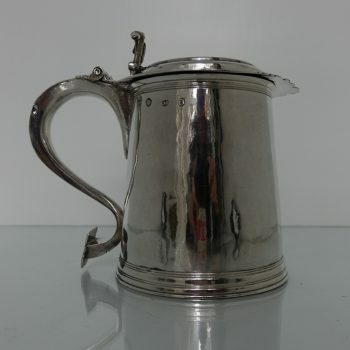 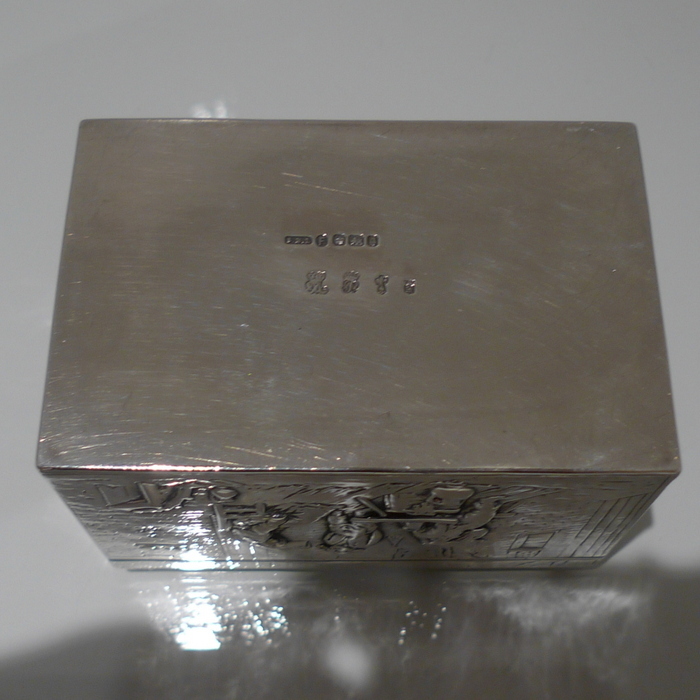 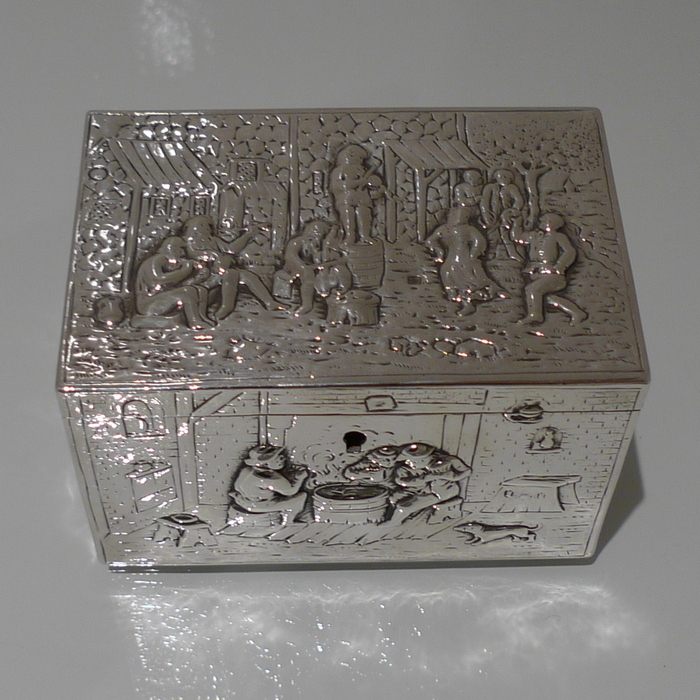 Stunningly beautiful import marked jewellery casket. 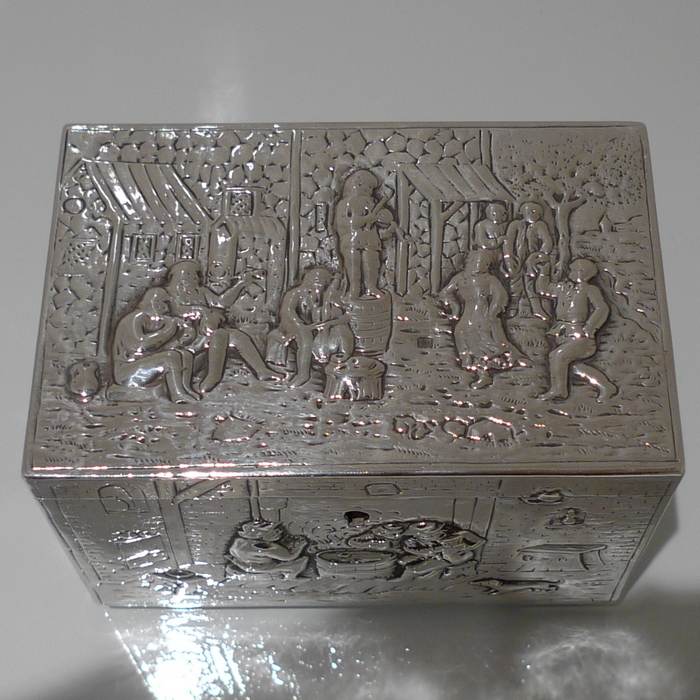 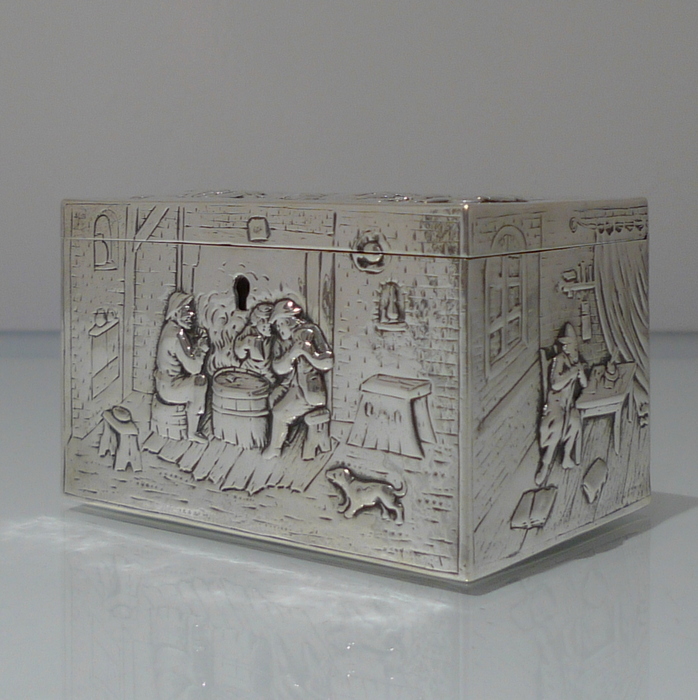 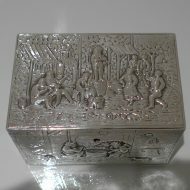 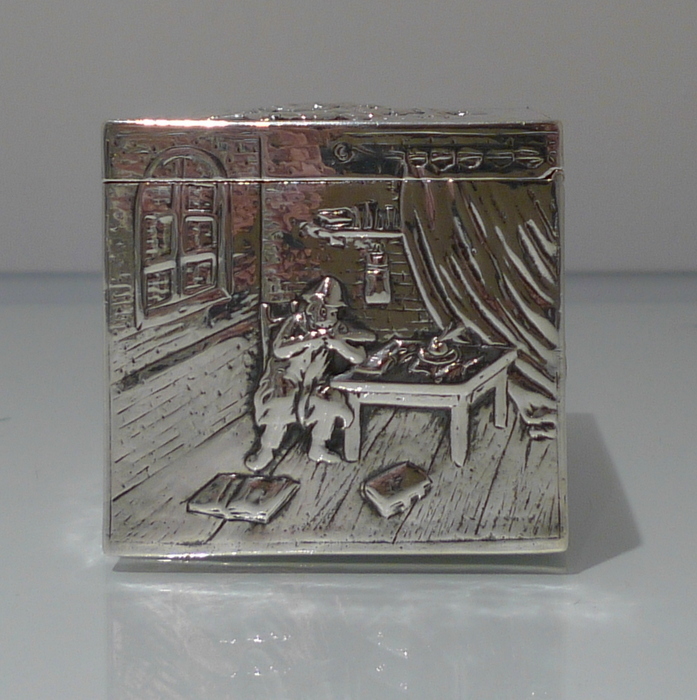 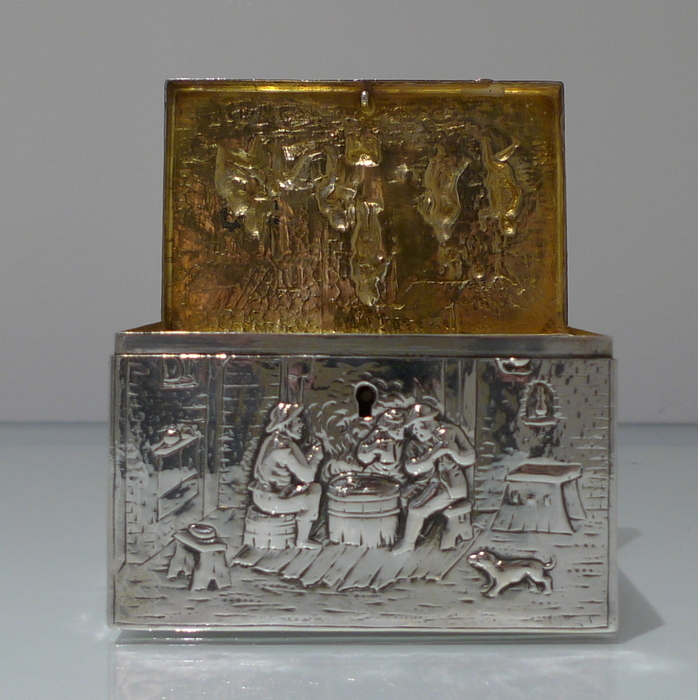 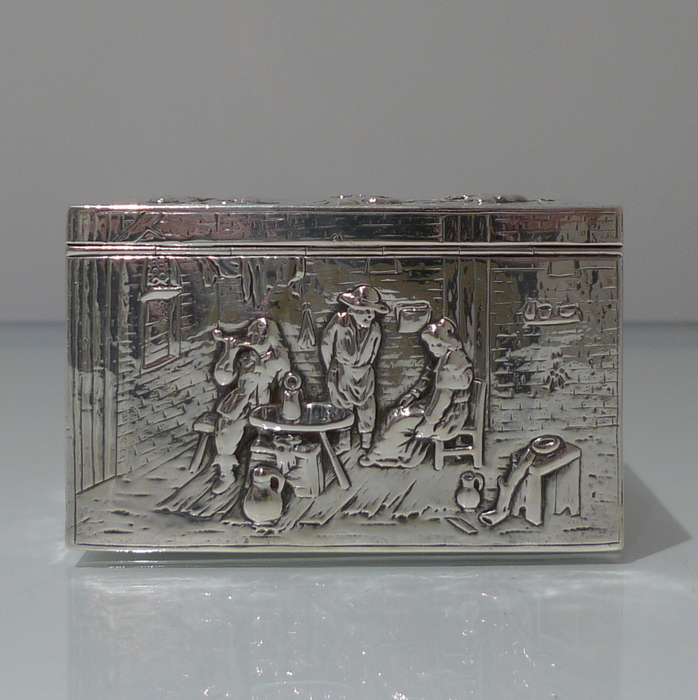 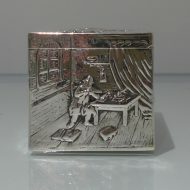 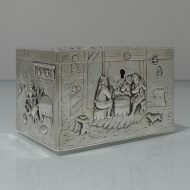 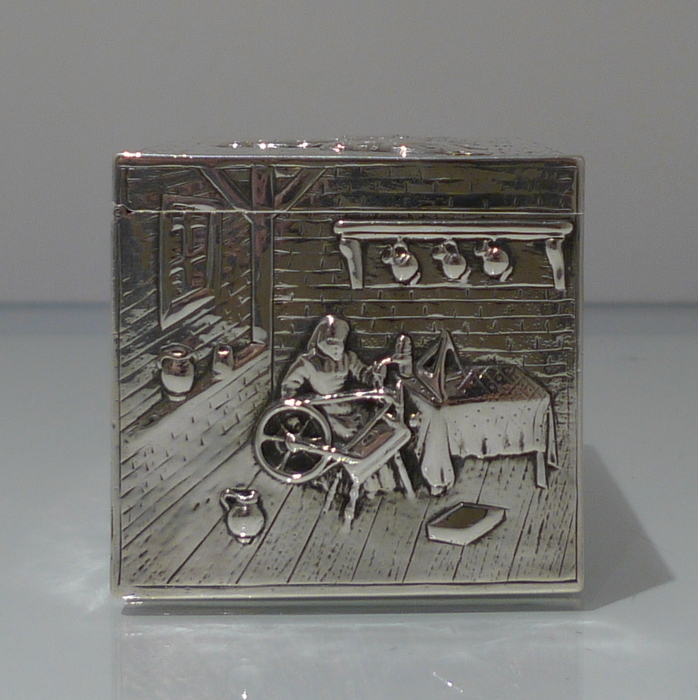 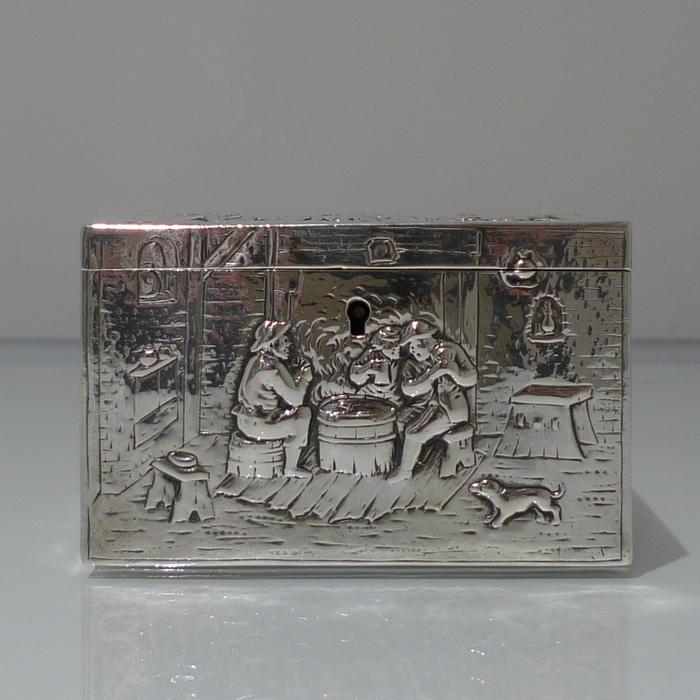 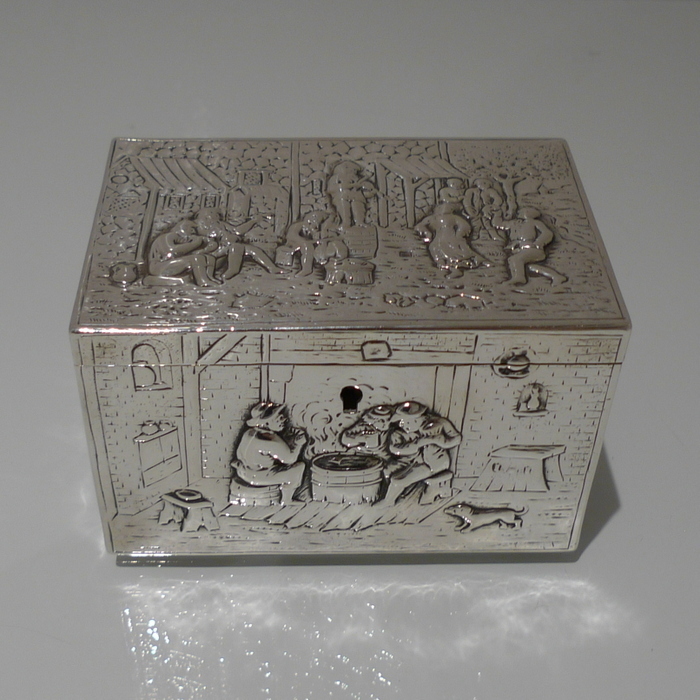 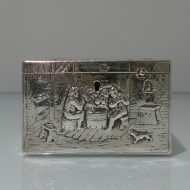 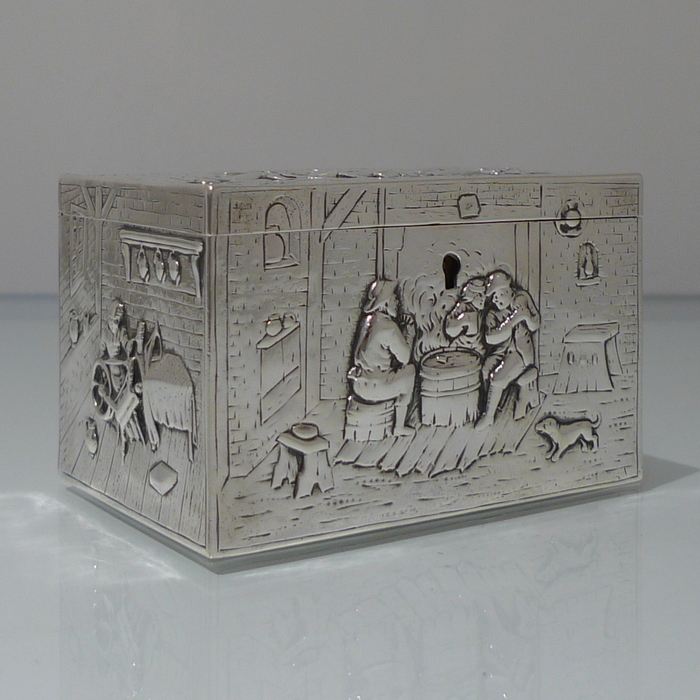 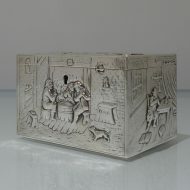 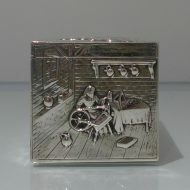 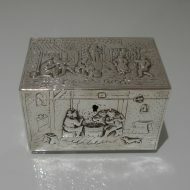 A very collectable late 19th century rectangular silver jewellery box beautifully decorated with various hand chased scenes of rural “every day life” on each panel. 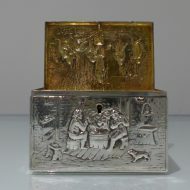 The lid of the box is hinged and the inside has been gilt for contrast.